Softeam Group | Making your projects a success ! Extremely competitive markets and the advent of disruptive technologies are driving companies to increase their business agility to get closer to their clients, while fostering internal performance and collaboration. SOFTEAM Group enables companies to succeed in new challenges through its own Innovation activities based on Business and Technology expertise. With more than 1 100 experts and proven financial strength, SOFTEAM Group provides its clients with high-quality services and solutions in Strategy, Consulting, Finance, Digital, Big Data, Analytics, Performance and Operations. SOFTEAM GROUP announces strong growth with €135 million turnover in 2018. 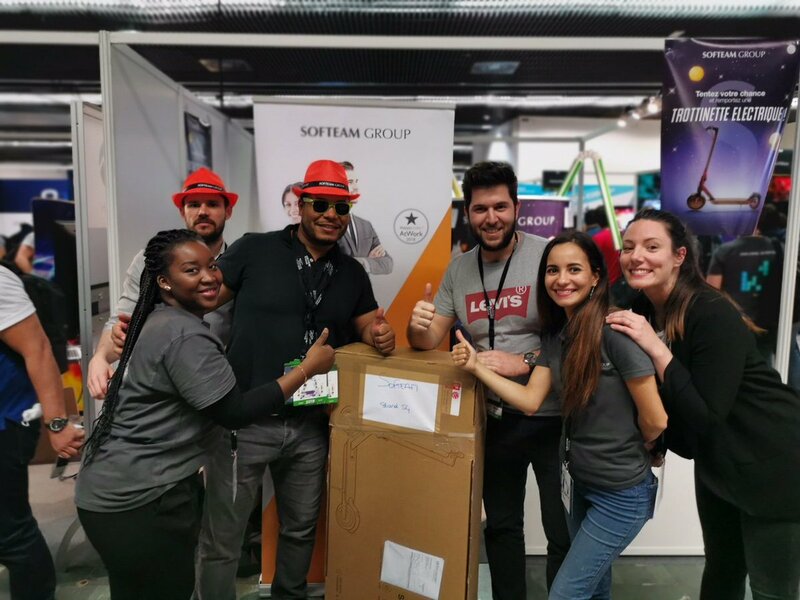 SOFTEAM Group, to support its growth, is opening up 200 new TOP #JOBs: the best job positions in the most challenging projects. MyMooc by SOFTEAM: launch of elearning platform for all 1100 Group employees. 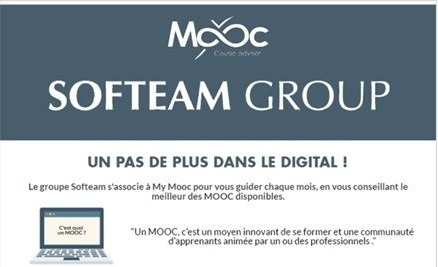 SOFTEAM GROUP announces a new personalized training platform MyMooc by SOFTEAM, 100% digital and aimed at each of its 1,100 employees. 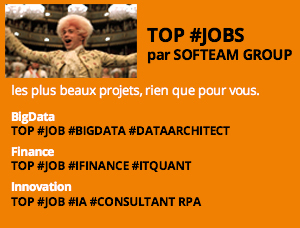 Join SOFTEAM GROUP at the Data Days Recruitment Forum, dedicated to Data, Data Science and Big Data jobs ! 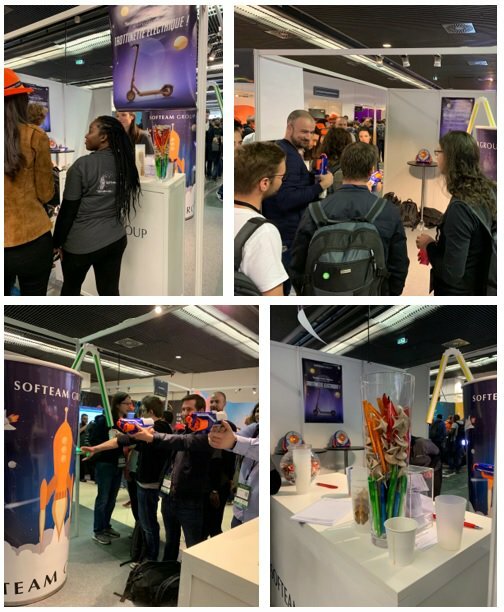 The SOFTEAM GROUP consultants and recruiters will meet and exchange with more than 1500 candidates. The Modedemploi Digital agency joins the SOFTEAM group to form the digital entity of the group under the name Modedemploi – SOFTEAM Digital. Modedemploi is an agency specializing in Digital Consulting, which is also affiliated with the “It's a Good Day” video studio. 2B Consulting, a Data Management, Analytics and Business Intelligence Specialist, joins the SOFTEAM Group to bring its know-how to the SOFTEAM Consulting division. The SOFTEAM Group achieved a turnover of more than € 100 million in 2016 and employs more than 1,000 consultants. The SOFTEAM group raises € 20M from major financial players to finance its growth and double its size in the next 5 years. 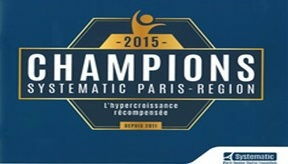 This fundraising was conducted with a group of leading banks (BNP Paribas, LCL, Banque Populaire, Société Générale, BPI) led by BNP Paribas. “SOFTEAM hires 400 new employees in 2017 and offers them an ambitious learning program. Business Analysis, Business Process Analysis, Operations Services. Combining a Start-up Spirit with Excellence in complex and large project execution. English for Finance and Project Management. 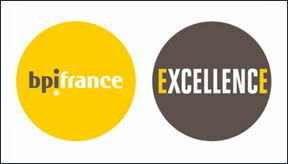 R&D Lab since 1990 at Saint-Quentin-en-Yvelines and Toulouse, Patent since 2004. Making your Projects a Success ! INNOVATION lies at the heart of SOFTEAM Group’s strategy and daily operations: as a pioneer in Object methods and contributor to the UML, BPMN and EA standards, we have developed our own modelling software called MODELIO. SOFTEAM Group is an active partner on numerous international R&D projects as well as being a fervent contributor to the activities of international consortia, such as The Object Management Group and The Open Group. SOFTEAM Group is also an active innovator in the field of Banking & Financial Markets, through our deep knowledge management network based on our own competence centers and wide range of training courses and certifications, as well as our monthly magazine dedicated to this industry news and innovation: Assurance&Banque 2.0. Always listening to our customers’ needs, we have created the INNOVATION LAB, in order to deliver step-ahead and ready-to-use innovations in the areas of Artificial Intelligence, Cognitive, Robotics Process Automation, Virtual Reality, Augmented Reality and Blockchain. 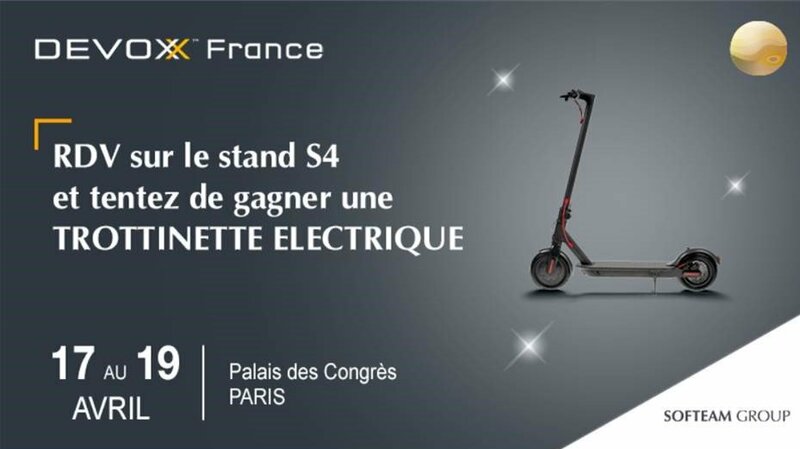 N°1 Provider for Market Finance and Asset Management leaders. A strong presence in Banking and Insurance. 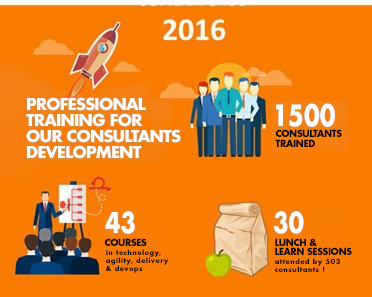 Recognized specialist in devops and agile development. Rapid growth in the Digital, web and mobile development sector. Proven Data Management & Analytics Expertise. Disruptive Technologies & Solutions Incubator. After reaching 100 M€ of turnover in 2016, we are aiming for 150 M€ in 2020. At SOFTEAM Group, we place particular importance on our consultants’ career development and on building a strong team spririt. We are proud of the investment we make each year in Business and Technology certified trainings, either on-site, within our SOFTEAM INSTITUTE, or through our digital MOOC platform. And it’s our employees who are among our most enthusiastic trainers, willing to share their savoir-faire and their passion by delivering seminars, talks or training ! Why not join our internal Business & Technology communities? SOFTEAM GROUP’s CSR policy has seen us commit to many concrete actions over the last decade. 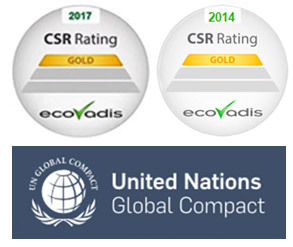 Again in 2017, SOFTEAM GROUP has been awarded the highest EcoVadis sustainability score (GOLD) placing us among the top 5% of companies. [#JOB] IT Quant, for the maths buffs of the world ! You prefer financial mathematics to crosswords and are an adept of problem-solving. A solid all-rounder, your talents in C++/C# leave nothing to be desired. [JOB] You love to imagine and create new applications using one or more mobile native technologies (Objective C, SWIFT, Android SDK) and you care about code quality (writing unit tests, Jenkins, Sonar). You work on multi-device applications for our clients in close collaboration with experts at our web agency. [#JOB] Do you have an attention to detail to make a Michelin-starred chef pale with envy? Are you ergonomically aware and abreast of the latest technological developments and best practices? A Rubik’s cube Jedi, you’ll find solutions adapted to our site creation projects to build and animate innovative user-centric interfaces. [#JOB] Project, Portfolio, Program! As PMO, you’ll be the co-ordinator and guarantor of the project’s activities and of the transparency of information shared. [#JOB] You are both a business and information systems expert in enterprise performance management. Your goal is to implement applications for financial departments to help them better manage their business strategy as well as daily operations (budget planning, analysis, reporting, etc.). With your financial controlling background, you bring a real added value at every key step of the solution’s implementation and use. [JOB] As a functional developer, you master an object-oriented programming language and value working in an agile environment. Your skills and experience in finance mean you can challenge customer requirements and find solutions perfectly suited to users. [#JOB] Passionate about statistics, algorithms and technologies, you solve complex problems and make data speak by using SQL, Python, R, SAS, Java, Scala, or Julia languages. Your deep understanding of the customer’s business and your analytical skills allow you to put the explored data to the service of business performance. 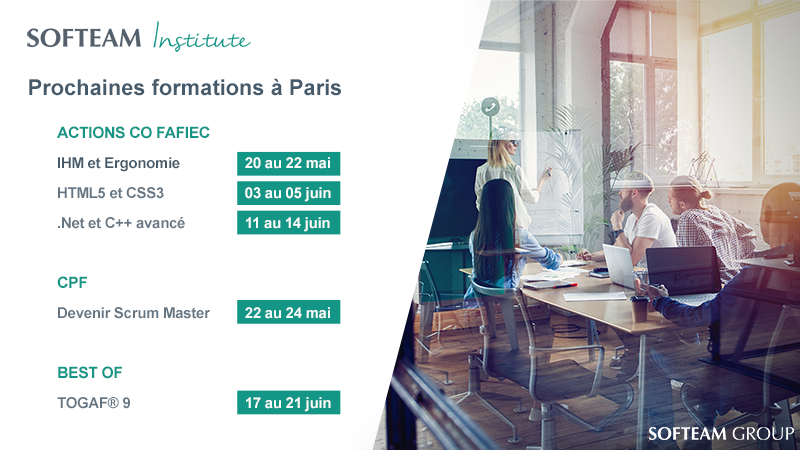 [#JOB] You put your business knowledge to the service of artificial intelligence technologies. You develop business-specific learning models for your clients' cognitive computing projects. Les architectures web et mobiles, bref digitales, vous passionnent ? Rejoignez-nous ! Vous ne jurez que par le "Pixel-perfect", vous êtes un gourou du HTML5, CSS ou d'Angular JS ? We want you ! Du Front End au Back End, vous maîtrisez toute la stack ? Postulez en envoyant votre CV ! 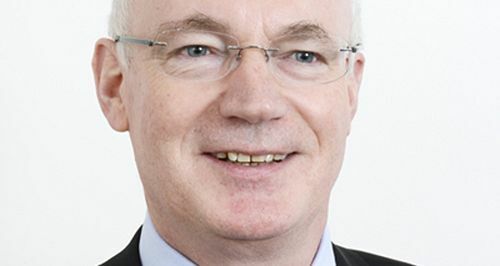 Big Data & Analytics sont au cœur de votre expertise ? 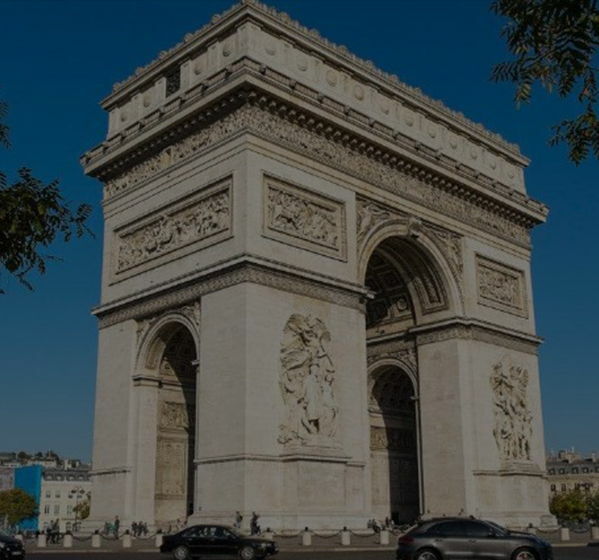 Les technologies comme Hadoop, Cassandra, ELK vous passionnent ? Rejoignez l'aventure SOFTEAM Digital ! Our experts, happy in their TOP #JOB. 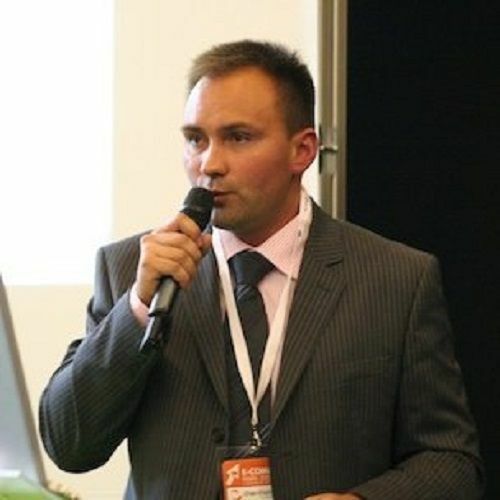 I am Associate Consulting Director at Modedemploi - SOFTEAM Digital. A natural entrepreneur, I support major French and International companies in their digital business transformation across a range of sectors: aeronautics, automotive, hospitality, energy, consulting, real estate or culture ... The challenges are huge because the digital experience that customers, employees or partners have with brands can deeply shape a company’s results or even determine its survival. With absolute trust of my clients, I dare to take them, with our agency’s multidisciplinary teams, to the heart of Virtual Reality!